Every Sunday the hotels operate a "Film Club". It's a club in name only and is open to hotel guests and members of the public. It involves lunch, dinner or afternoon tea in the hotel restaurant followed by the movie of the week which commences at 3.30pm for £40.00 per person. 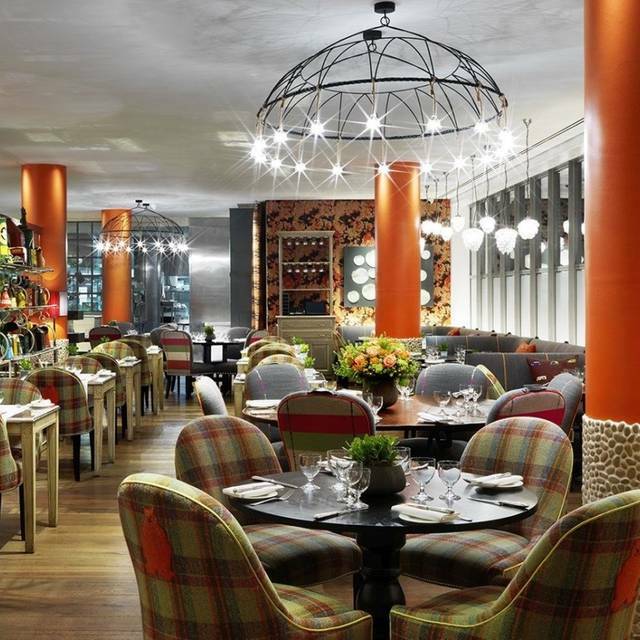 Set in one of London’s most stylish hotels, The Soho Hotel, REFUEL Bar and Restaurant is in the heart of the West End just moments away from the city’s popular theatres and nightlife. 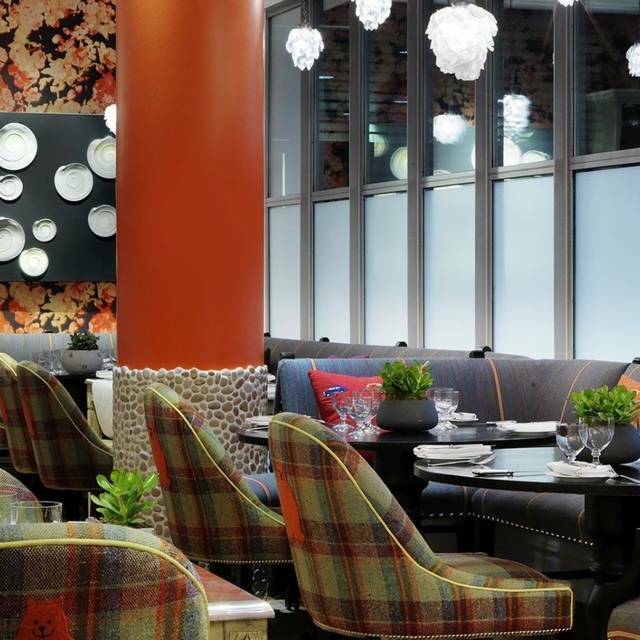 Designed by owner Kit Kemp, REFUELS’s interior is a vibrant mix of colour and contemporary art, including a mural painted by London-born artist Alexander Hollweg, which runs along the entire length of the oak and pewter bar. 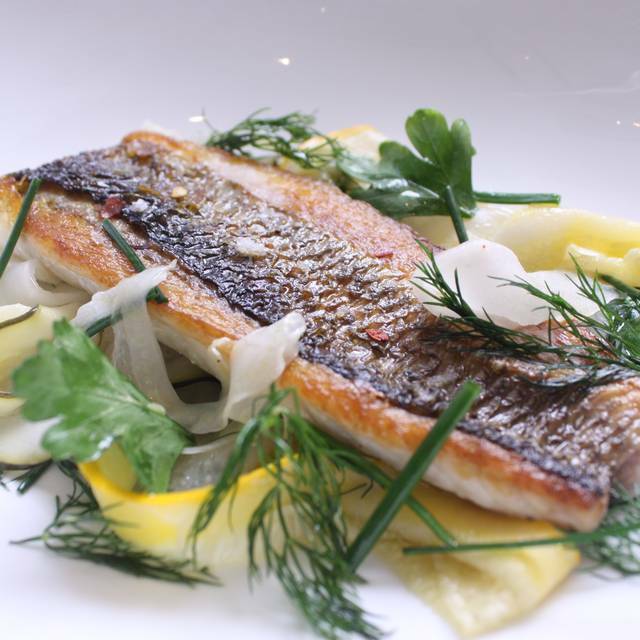 REFUEL is best known for its British menu with an emphasis on fresh and seasonal produce. 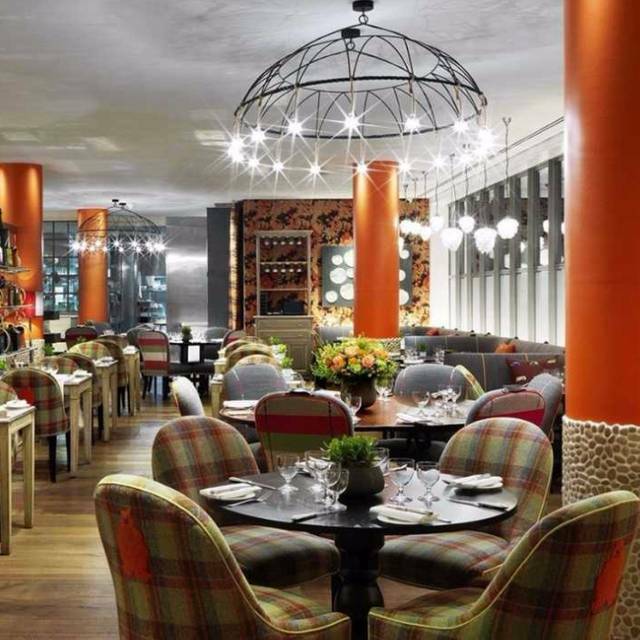 Expect to find dishes such as confit pork belly, miso glaze with Swiss chard and poached cod, clam and parsley sauce. 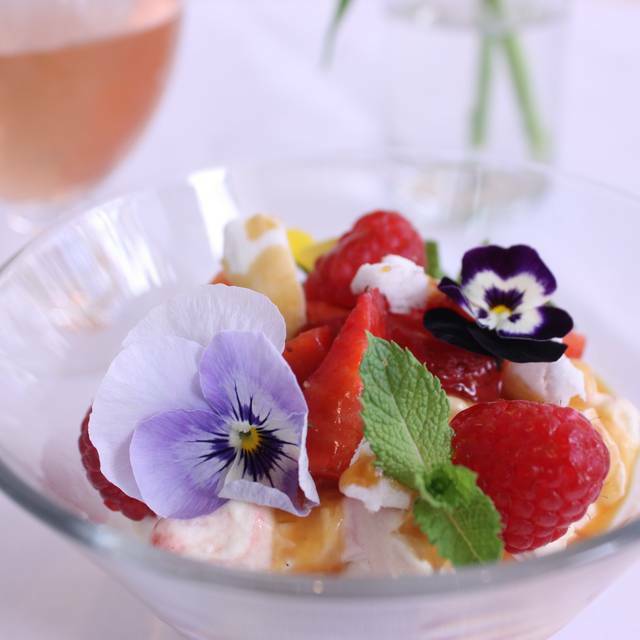 Also boasts one of Soho's best dessert menus with treats like English strawberries, vanilla and mascarpone tart; raspberry and white chocolate crème brûlée and Amaretto and lemon curd. A favourite with the media and creative industries, the bar is always buzzing and offers a wide choice of cocktails and spirits. A bit too expensive but consider that we are not used to London prices yet. Good option for the Sunday roast. Portions were substantial. Liquor a bit over priced, but it is a hotel. The ambiance is ok, but you do feel like you are in a hotel lobby. We both had entree, mains and desserts and the bill came to just shy of £200.00. It was an incredible disappointing meal particularly for the price paid. Loved sitting in the space but would not eat dinner there again. Great food and lovely staff. Would highly recommend for afternoon tea. We had an amazing night at the Refuel! Food and service were great...thanks to Enzo for his professional and friendly service!!! The atmosphere is absolutely beautiful. Funky backdrop behind the bar. Gorgeous lighting, seating, everything! The wait staff are very attentive. The food was incredible. We basically licked the bowl clean eating the carrot and squash soup. We had this delicious vegetarian dish. It looked like a thin slice of eggplant the long way and a nice kick of spice. We were very surprised that such a unique hip place was located inside a hotel. I DEFINITELY recommend this restaurant. We would not hesitate to go back again! Great service and nice food (especially the bread). Sadly they don’t do burger menu, which is displayed on OpenTable, anymore, even though that was what made me wanna go in the first place. Kinda frustrated because they didn’t update their current menu on time. Excellent experience. Very attentive, competent and happy yet professional bar and waiting staff. Stunning starters (we had the vegetarian options - ricotta gnudi, and courgette, polenta & a divine garlic pesto). One slight issue with my aubergine main was that the sweet chilli dressing was a little oversweet for me. The main portions are big (eg the pasta dishes) so consider a half portion if you're going for a starter beforehand. Pressed for time so sadly had to skip dessert. Pricey overall, but absolutely worth it for a treat. Highly recommend - you will not be disappointed! Good ambience, love the decor. Attentive service however we had to ask ourselves for the set menu as only main one was brought out to us. Food was quite good. Relaxed and enjoyable setting comfortable seating. Service was great and the food very delicious. Shall definitely return. A very special Mothering Sunday lunch. A real treat! Everything was perfect. We had a great Saturday evening dinner here. The service from all staff was friendly and knowledgeable even to recommending an after dinner cocktail. My shepherd's pie was fantastic and not a small dish. My wife really enjoyed her crab and chili spaghetti recommend by our waitress. My daughter and I were visiting London from Los Angeles and we wanted to do an English Tea. The Soho House delivered to make it a memorable experience. My friend and I had a very pleasant evening here. Staff were very attentive, helpful and polite, and being a Monday evening it was relatively quiet so we were able to talk and hear one another without shouting. We love the ambience and the food is delicious but unfortunately really pricey for our budget. The last time we came there was a set menu which suited us better. Even so we chose wisely and enjoyed ourselves. Second time I’ve dined at Refuel this month and always a superb experience from the Firmdale group of hotels. Lunchtime set menu was varied and good value. The chicken soup was amazing!!! Welcoming staff, took us straight to our table (we arrived slightly early). Our waiter, Enzo was great, very attentive and we did not have to wait any time for drinks! Food was very nice! Again did not have to wait long at all. We went for a drink at the bar afterwards which was really busy with a good atmosphere. The tea was a phenomenal, comfortable, and tasty experience. The setting was eclectic and unique, food was fantastic, and the server was very amiable in explaining things to us and answering our questions. Very reasonably priced compared to other afternoon teas. Highly recommend!! We went here on a Saturday evening and the atmosphere was really buzzing. Really great service - very attentive! Food was very tasty - substantial portion size. Really friendly and helpful staff. Interesting decor and theme inside. Good amount of people and vibe in the bar and restaurant even though we ate early (before 7). Great food and drink selection, food was interesting and cooked well, however it was slightly more expensive than expected. Great for business lunch, attentive staff, fairly priced, good ambience but still quiet enough to have conversation. Will be back. My second time here and did not disappoint again. Service was good and we both really enjoyed the meal. Only downside was they didn’t have the wine we wanted off the menu but as always they had plenty of others. I like the place and doesn’t have that hotel feel but tucked away feels like an upmarket restaurant, which I believe it is. 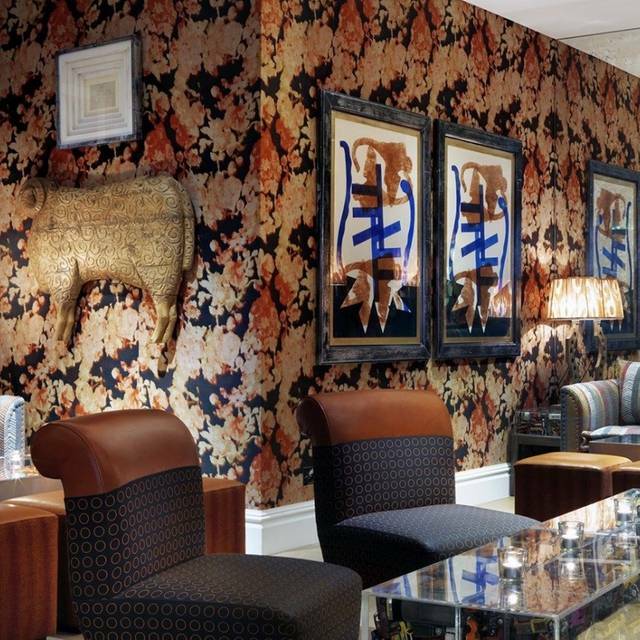 I love any hotel that is part of the Firmdale group. This was the first time I'd been to the Soho hotel, and it lived up to all my expectations I had based on the other hotels I have visited. Staff were delightful, engaging and attentive. Food was imaginative, colourful and healthy. I need to revisit again soon. Booked a pre theatre dinner for my sister’s birthday. Polite and attentive service from beginning to end. Restaurant wasn’t crowded so we had good conversation without any interruptions. Food was lovely and we left very happy! Highly recommended. Met here for a girlie catch up on a Monday. It was quiet and relaxing. The service was very attentive and the food was great! Would definitely recommend to others. We had booked a table for 8 people for a special birthday meal with friends. I had requested the circular table so everyone could talk more easily to each other - but unfortunately we were given a long rectangular one ... and so it was hard to hear each other from one end to the other! However, the service was good and we all enjoyed our food. We deliberately kept the spending down as this is not a cheap place to eat - so only had mains, sides and a couple of bottles of wine/drinks for the table. This kept things to under £40 a head. The room was quite loud for us - but we were able to have a more relaxed and audible catch up over at the cosy seats near the bar afterwards. Broad wine selection - and relatively more narrow menu selection. The prawn cesar salad was outstanding. Refuel offers a smart busy energetic environment at a reasonable price. This place is great for a Friday meet-up with friends. Been here a number of times and always enjoyed it. The icing on the cake this time was the Pop Culture cocktail. If you are a fan of Salted Caramel and Bourbon, try it! We had a lovely meal at Refuel. The service and food were both fantastic. We booked with an OpenTable offer and found it was a little more expensive than advertised and did not the include the advertised drink. I often find this with OpenTable though. Otherwise everything was great. Well decorated and a nice atmosphere despite being pretty empty. The service was attentive and professional. Food was ok. Nothing really to write home about. Colleague had the Chicken Ceaser which was fine. I had the burger, the sides with it were spot on the actual burger was pretty much cremated. Excellent food and wine list (steak tartare was outstanding) with genuinely friendly and attentive service. Highly recommended. Not my first visit, but it is always a pleasure to visit the Soho Hotel. Whether for a coffee in the lounge, or a drink at the Refuel bar. The Refuel Restaurant is consistently excellent in all respects, and my visit with my partner this time was no exception. Service is immediately on tap, without any hint of impetuosity, and the menu is expertly explained where necessary. I ordered the 3-course fixed menu, with a couple of extras, and all were presented in a timely way. Food was first-class, and the restaurant ambiance too. This is one of my favourite restaurants, the food (and variety), friendly efficient service and ambiance are consistently good, as you’d expect of the Firmdale Group. We had delicious soups to start (the special, butternut squash & coconut with chilli was very flavoursome) and a tomahawk pork chop which was awesome! Just about made my way through that, so no shy portions! Will be returning again soon, always good regardless of time of day! With so many options to choose from, refuel could've done so much better.